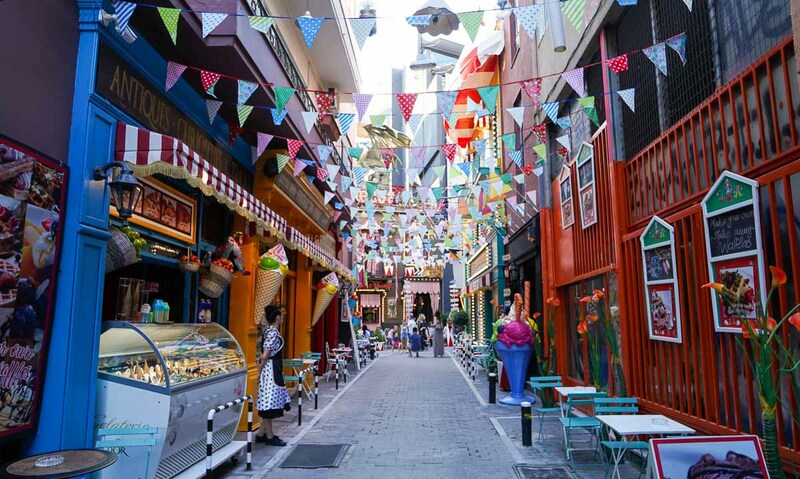 At 15hours away by flight from Singapore, Greece might seem like a destination saved for extra special occasions or a side trip from another European city you’ve somehow landed yourself on. While everyone seems to be headed for Japan and Korea, we decided to fly to Greece for the same price! 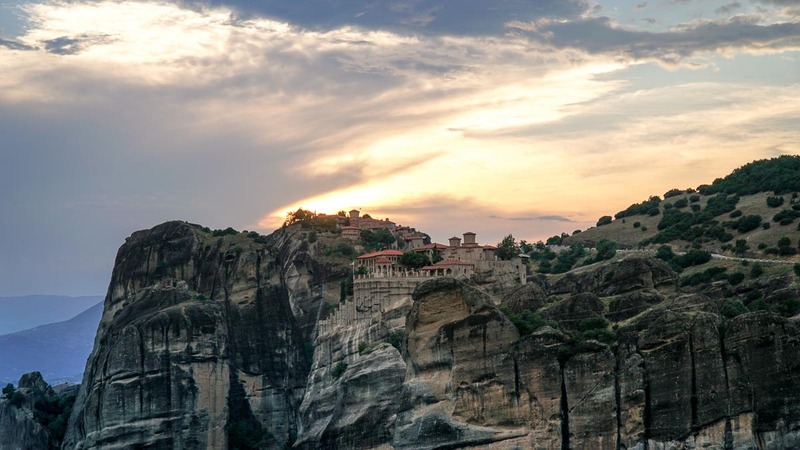 Here are 9 highlights you can out look for on your next trip out to Greece. 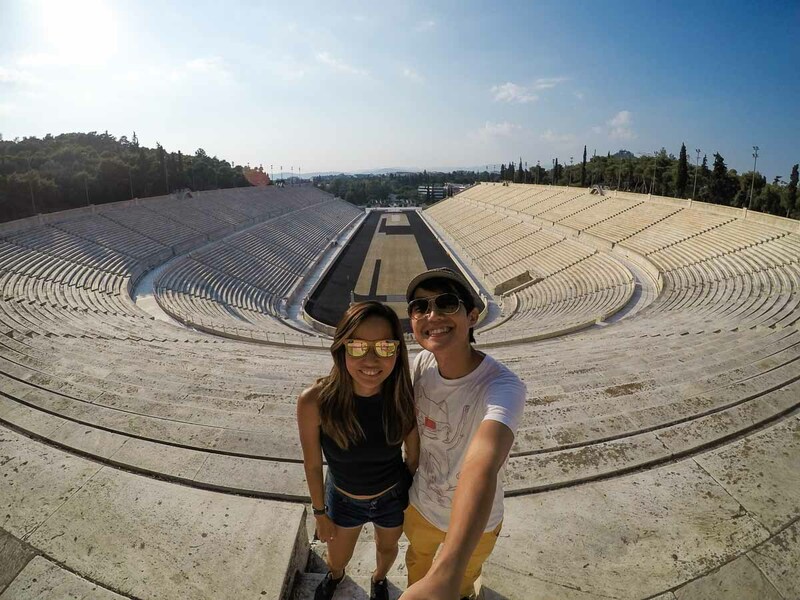 Athens is famous for many things but to the world, it’s where the Modern Olympic Games first began. Check out the Panathenaic stadium that was used in 1896 as well as the more recent game in 2004. The entrance fee includes an audio guide that brings you around 12 different parts of the stadium made entirely out of marble. Experience sitting in the best seats reserved for the the king and queen, and venture into the athlete’s dressing room where you can find posters of the various Olympic games around the world since 1896. We even staged a race around the tracks just for fun. No visit to Athens is complete without checking out the Acropolis although you can easily spot it from just about anywhere in the city. 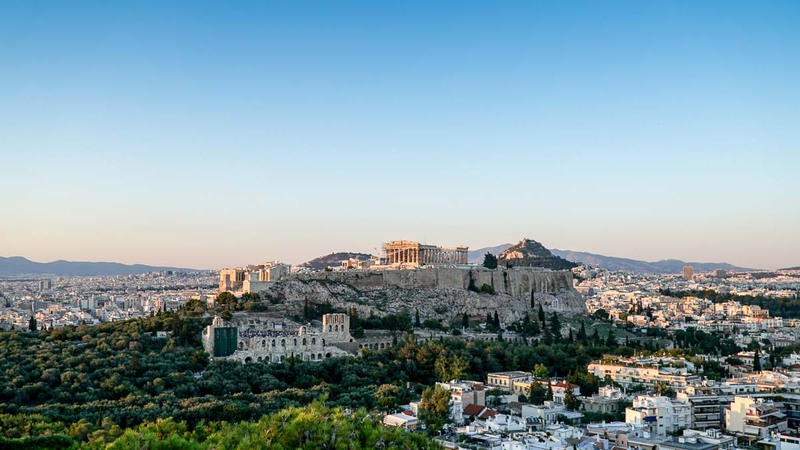 A UNESCO World Heritage site and one of the most iconic ruins in the western civilisation, the Acropolis isn’t just a single building but a citadel of temples built atop a large rock. 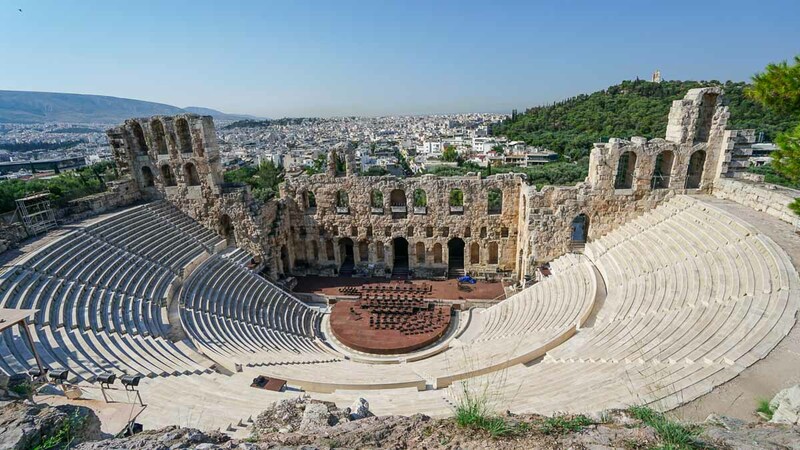 The most famous is the gleaming white marble columns of the Parthenon but there are also interesting sights at the foothill such as the Theatre of Dionysus and the Odeon of Herodes Atticus — the latter a fully functional stone theatre that hosts performances between March – October. *Pro-tip: Hike up Filopappou Hill at Golden Hour for the best view of the Acropolis. “Have you tried Greek Yogurt in Greece?” Our local friend challenged on our first day in Athens. We were brought to an old fashioned dairy bar called Stani which translates to Sheepfold. In the 1960s, there were over a thousand of these dairy bars around the city where people could buy their milk products. Today, Stani is the only one standing. 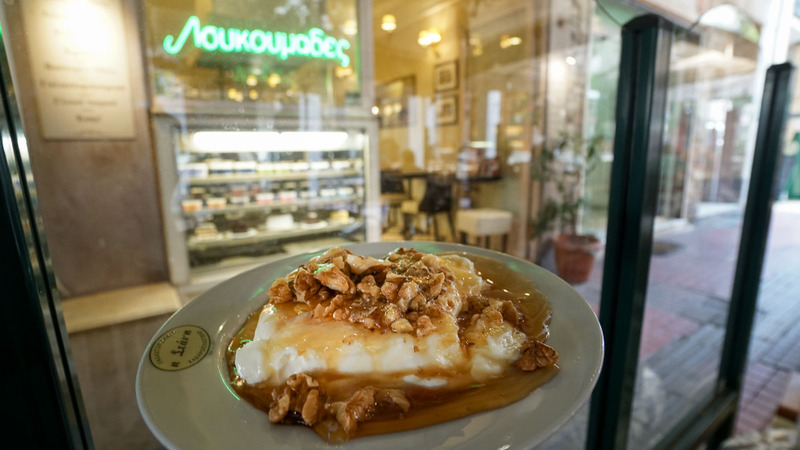 We order a serving of their house yogurt — made out of sheep’s milk and served with honey and walnuts — and ended up having Greek yogurt everyday on the trip. This treat is also perfect during the sweltering summer in Greece. 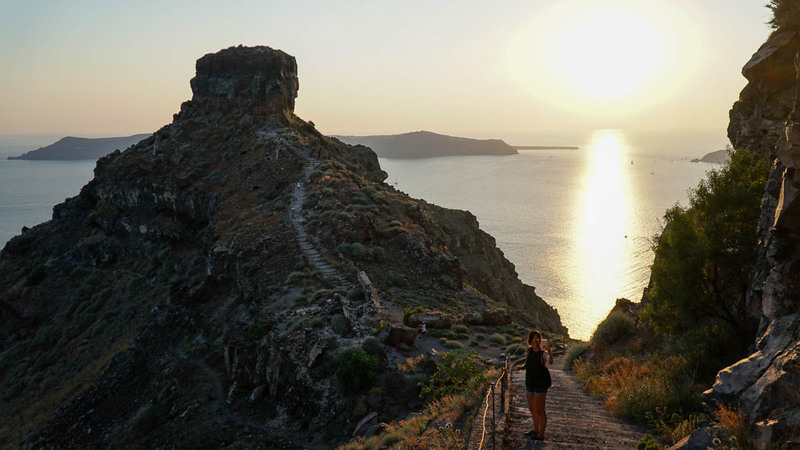 Yes it’s become a very touristy place but there’s a good reason why everyone visits anyway — to catch the famous postcard-perfect sunset in Oia. Accommodation in this area is generally quite expensive but you can experience this sight for free from the top of an old Byzantine church ruin. We had some pretty epic sunsets on the trip but I’ve got to say this was one of my favourites. Stay past sunset even when most of the crowd starts clearing to watch the town light up as the sky darkens. For somewhere a little more quiet, Skaros Rock in Imerovigli was a close second favourite. The higher you get, the lesser people you’ll find because it requires a bit of scrambling to reach the top but the view is well worth it! *Pro-tip: Take the slower ferry from Athens to Santorini which leaves at midnight and spend a little more on a cabin bed. You’ll be saving on accommodation and daylight to explore fully once you arrive! 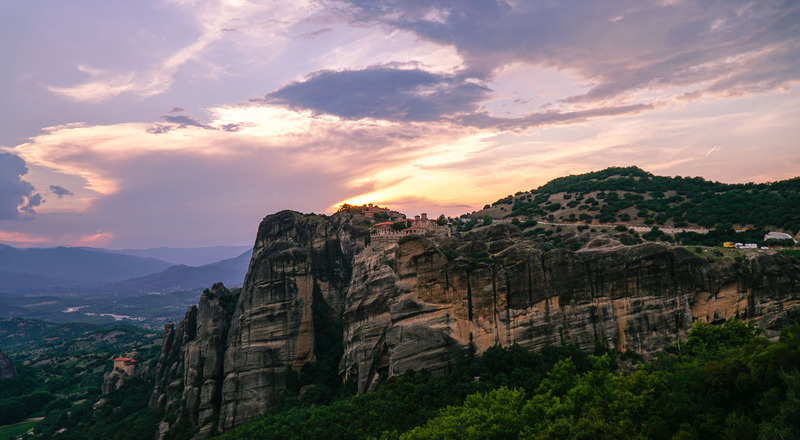 Speaking of rocks, rock climbing enthusiasts need to visit Meteora — a 4 hour train ride from Athens. But even if you aren’t one, the famous floating monasteries might entice you. Back in the 14th – 16th century, there were up to 24 of these monasteries built by monks using only basic tools such as ropes, baskets and a lot of determination to carry the building materials. Today, only 6 remain; one of which was even used during the filming of a James Bond movie — For your eyes only. The sunset spot gets pretty packed so we rented a scooter and headed up in the wee hours of the morning enjoying the cool air, sounds of nature and the sight of light creeping over the rocks. Adventure lovers might also enjoy the hiking and scrambling tours offered. 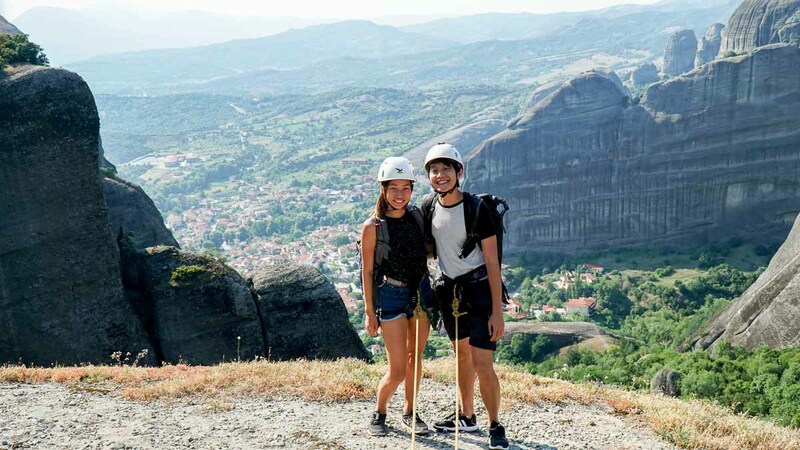 We signed up for VisitMeteora’s scrambling tour and were brought to this incredible vantage point where you could see the town of Kalambaka on one side and the city of Kastraki on the other. One of our top experiences on the trip to Greece! If you haven’t been living under a rock in 2016, you’d probably be familiar with this gorgeous beach with a shipwreck. 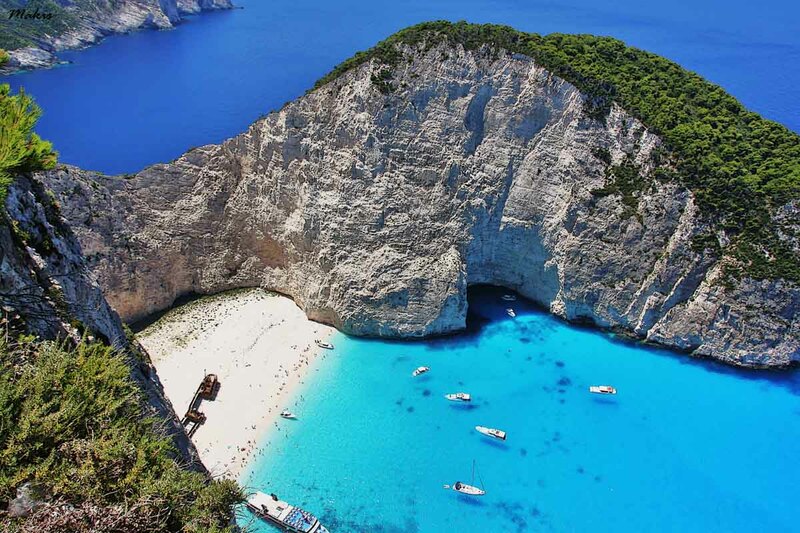 This sight isn’t just a movie set but exists on the famous Navagio beach on the Zakynthos island! No filters needed to capture the glaring white sand and deep contrasting shades of blue waters that surround it. Something common you’ll find with most of the Greek locals is that they can’t stop talking! Whether it’s about showing you around their city, their homes or their neighbourhood, they do it all so passionately you can’t help but feel like you’ve been decade-old friends after an afternoon together. 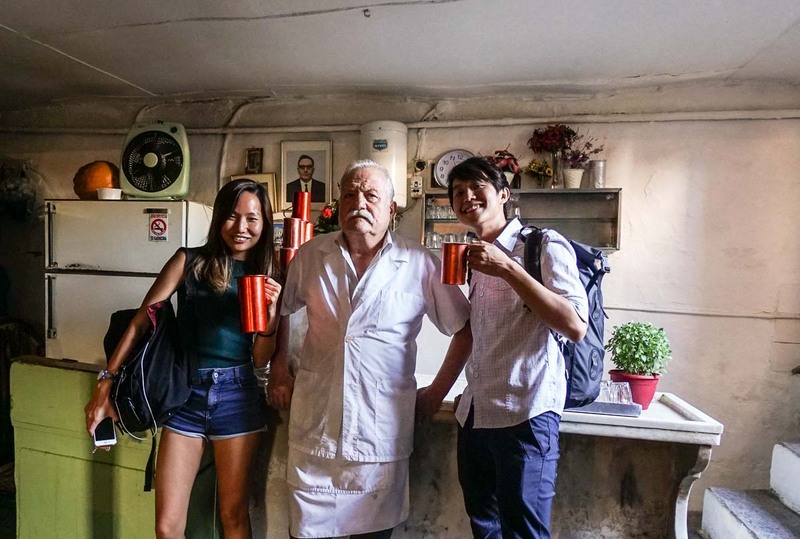 First day in Athens, we signed up for a free walking tour from ThisIsMyAthens — an interesting initiative where local volunteers offer to bring travellers around their favourite spots. Most tours last for 2 hours but because we had so much to talk about with our new friend, we ended up spending 5 hours! After which, we left for our own plans bitterly as if leaving an old friend. 8) You can fly to Athens on a non-stop direct flight! It used to take a 15-hour journey to get to Athens with a stopover in either Qatar, Istanbul of Doha. 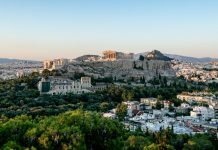 With Scoot now flying non-stop direct from Singapore to Athens, and tickets costing as low as $500, getting to your favourite Greek islands or ancient ruins no longer seem like a faraway dream. If you think about it, that’s about as much (or as little) as a 6-7 hour flight to Japan or Korea! 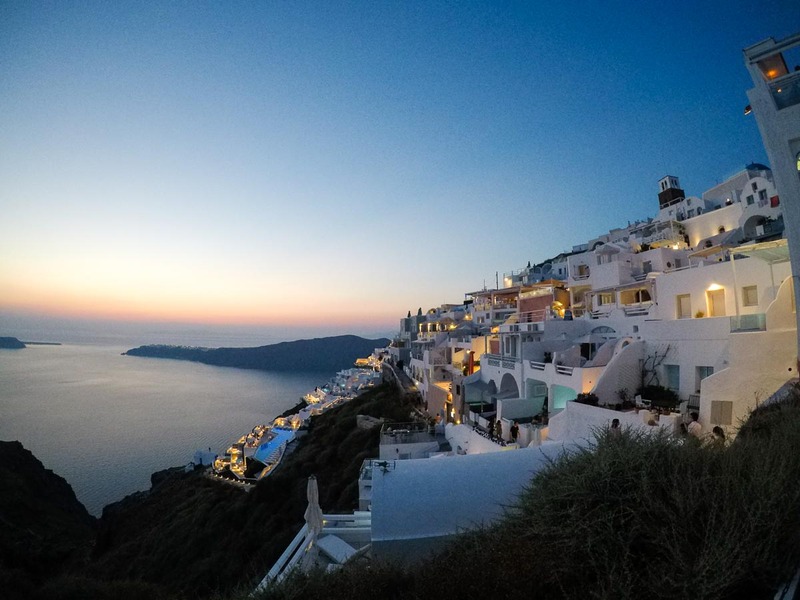 Go somewhere new, somewhere you’ve never stepped foot on and let yourself be awed by the rich culture, unbelievable hospitality and delicious Greek cuisine. Last but not least, although Europe is notoriously expensive, you’ll be quite surprised to find Greece a lot cheaper than London, Paris or Germany. You can stay at cosy Airbnb apartments for under €25, have a hearty Gyros or Souvlaki wrap for under €3, and most of the sights (other than the Acropolis) cost under €5. 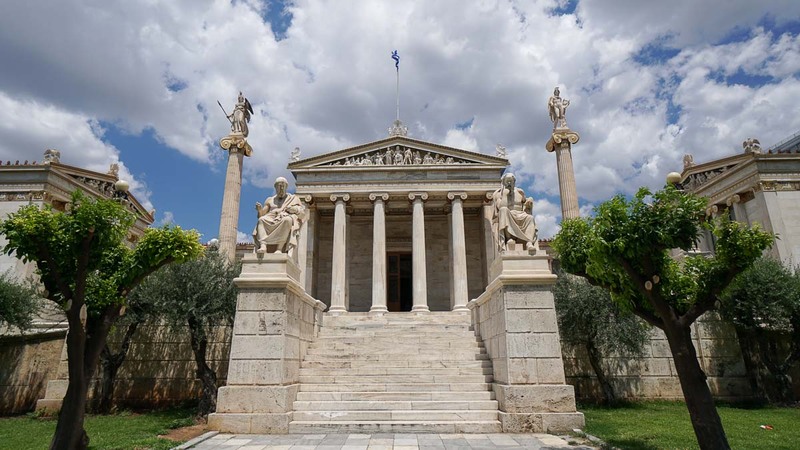 Check out our full Greece budget itinerary to find out how spent 10 days in Greece for under S$1.5k per person (including flights and accommodation)! Scoot flies non-stop direct from Singapore to Athens in just 11 hours! The flight departs Singapore at 2:45am and arrives in Athens at 8:45am; just the right time to start the day. Hi there, great post just like the other one. Would like to check if you purchased a SIM card during the trip to Greece? If so, could you share the details – price, GB and calltime? Will be headed to another island upon landing in ATH, should I purchase a prepaid sim in SG instead? Thank you!